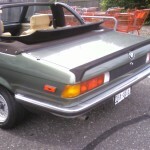 This was a rare sighting – a 1981 BMW TC1, converted by Baur. 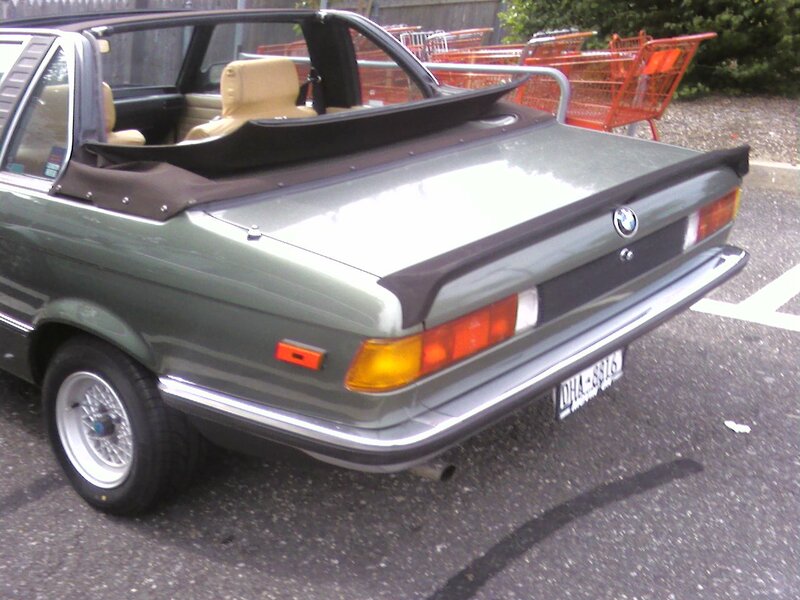 I don’t know much about these 3 series convertibles, but it seems that they are pretty rare. 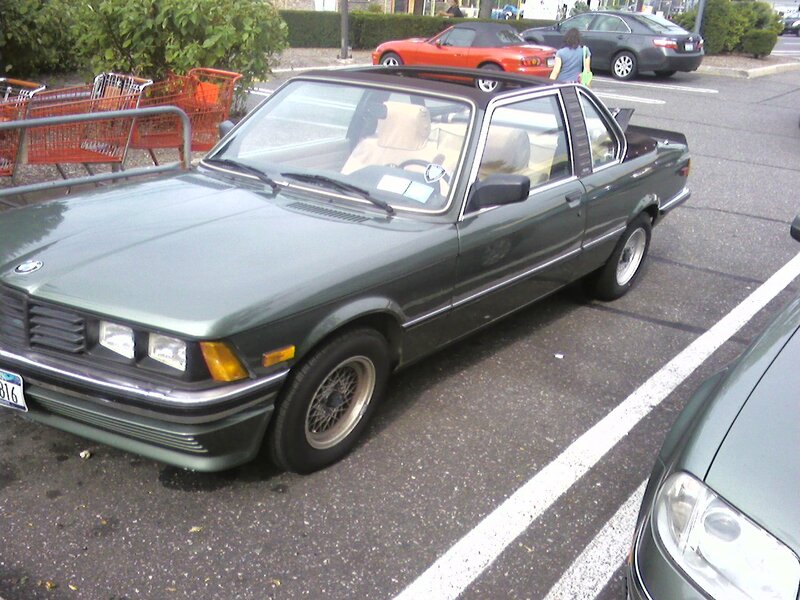 I think this is an E21 model, but that bizarre grill is really throwing me off. Sighted in Merrick, NY. Feel free to update this with any information you may know about it. BMW Baur TC1 brake lights. This is indeed a E21 Baur TC1. There are only 4595 build. The grill is not original. Thanks for the info – any idea what that grill is from? That will be from Kamei/Zender/Taifun. 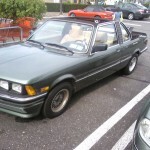 We are trying to locate and identify all the BMW Baurs in the US. Please check out my blog, Baurspotting. We would love to find this one, since we think it may have some important provenance. Can you tell us any more info about this car? Anything at all, no matter how seemingly trivial, can be a clue to helping us find it. Has it been spotted since the above sighting? Can you pinpoint the location in Merrick, LI? Thanks in advance. Unfortunately I know nothing more about this car then what is posted here. 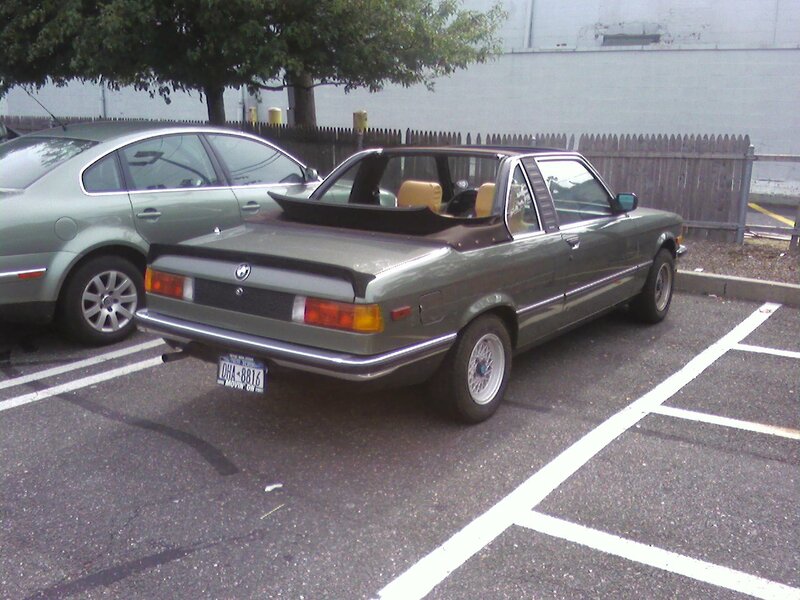 I found it parked on Merrick Road in Merrick, Long Island almost 3 years ago. I haven’t seen it since. 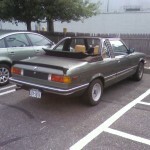 Perhaps a Long Island BMW owners club may be able to help? Mark, we may, at long last, have found this Baur! Stay tuned to Baurspotting blog. We are trying to confirm the identity as we speak, but, preliminarily, it looks like we may have a match! Same color, same interior, same bumpers and maybe even the same plates! Bingo! We have been searching for it since we first saw it on your blog in 2011. Pretty cool! Sorry I couldn’t be more helpful – glad I took some pictures when I did, the car definitely stands out. Mark, we have finally found it! Confirmed! The sighting noted above was indeed the correct car, but we were never able to get any further info on it….. until now! I will be posting the whole story soon on my Baurspotting blog. We are still collecting the info. A guy in NY just bought it from the person who owned it when your pictures were taken! Stay tuned, we should have it up in a few days! We will be crediting your blog for first bringing it to our attention! Thank you! I’m glad my little blog and picture taking was able to help you out! Although I’m more of a VW guy, I love these BMWs! Thanks for the follow up and good spotting!